Can you prevent CIDD in your Dachshund? Maybe. Some dogs will probably get it no matter what. Others may have a tendency to get it but won't. Still others may have no tendency at all, so the first and best method of prevention is to find a Dachshund that isn't prone to CIDD. The problem is, no one can tell for sure which Dachshunds are prone and which ones will stay clear. 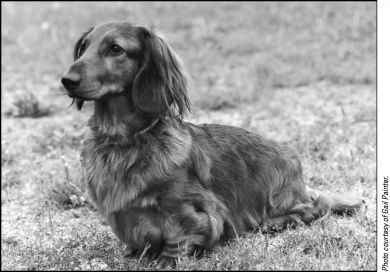 Scientists do know that CIDD is genetic, however, so a great prevention method is to purchase a Dachshund with little or no CIDD in his family history. Ask a prospective breeder about the occurrence of CIDD in his or her lines (see Chapter 4 to find a reputable breeder who will be honest). Most seasoned and reputable breeders have experienced CIDD at some point, so be wary of a breeder who says he's never seen it. You're looking for honest answers. Any good breeder knows not to breed a Dachshund with CIDD, but because the disease usually shows up at around 4 years of age, a Dachshund could've been bred several times before the disease manifests. 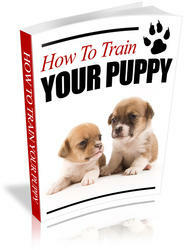 The puppies of that dog, of course, shouldn't be bred. Through hard work and careful planning, some breeders have virtually eliminated CIDD from their lines, and these are the ones to look for. Your worst bets? 1 A breeder who won't show you the parents (maybe one or both are paralyzed). 1 A pet store, because many of these dogs are bred with no thought to eliminating conditions like CIDD, and you don't get to see the parents. ^ A shelter or humane society, because you can't possibly know the Dachshund's background. That's not to say you should never adopt a needy Dachshund from a shelter or humane society. You should, however, be aware that the dog's risk of developing CIDD may be higher than average (see Chapter 5 for more on shelters).